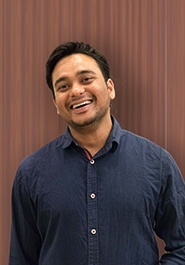 Devesh is a part of the technology team at Aureus. He has a B. Tech (CSE) from Lovely Professional University. Devesh has close to 4 years of experience and has worked with Velocis System Private Ltd, Decimal Technologies, IRIS Software etc before associating with Team Aureus. His passion is travelling and during leisure time he is either busy in gardening or roaming to unknown places with his bag pack.